Dessert fans, take heed: there’s a new spot in town to get your fix. 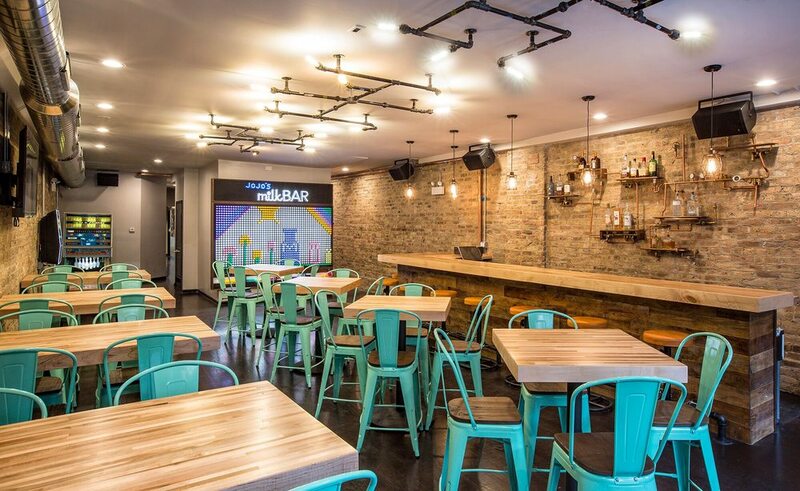 Called JoJo’s Milk Bar, the fresh addition is located at 23 W. Hubbard St. in River North. For adult patrons, the bar features dessert-flavored shots and cocktails. The new bar and cafe has gotten off to an uneven start thus far, with a three-star rating out of 34 reviews on Yelp. Intrigued? Stop in to try it for yourself. JoJo’s Milk Bar is open from 8 a.m.–midnight on Monday–Wednesday and Sunday, 8 a.m.–2 a.m. on Thursday and Friday, and 8 a.m.–3 a.m. on Saturday.